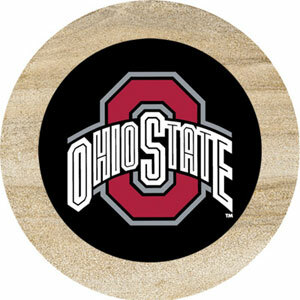 This officially licensed set of 4 coasters is the perfect gift for any sports fan. Each set of coasters is cut from the same sandstone and contain a cork backing. The naturally absorbant sandstone protects your furniture from condensation and minor spills. Get a set with your favorite team logo today!